Copyright West Wales Towing Centre 2017 all rights reserved. Unit 18B Withybush Industrial Estate, Withybush Rd, Haverfordwest SA62 4BS. We have many years experience and a vast amount of knowledge when it comes to towbar installation, so you can rest assured that your vehicle will be in safe hands. 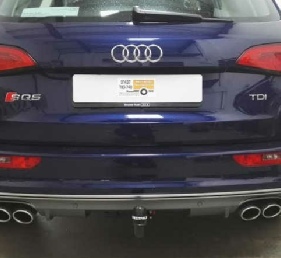 We are able to supply and fit towbars from leading manufacturers such as Brink, Witter and Westfalia, all with full European Type Approval and all carrying warranty on both Towbar and Electrics. 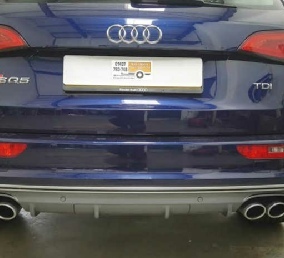 The majority of towbar installations will be fitted with vehicle specific wiring kits (VSK’s), which integrate with the vehicles’ onboard computer and safety systems. This is by far the safest choice with regards to your vehicle’s warranty and with insurance companies. In addition to this, an increasing number of vehicles will need to have their onboard computer “recoded” to allow the new wiring kit to function with the vehicle. 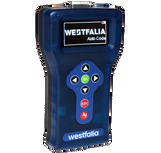 To facilitate this, we use state of the art diagnostic equipment from Westfalia-Automotive. Some older vehicles may still be able to be fitted with a “bypass system” which we will advise on.